When you are in Greece, especially in the Santorini area, you just can’t leave without tasting their wine. Or, better yet, join a short wine-tasting class that will let you learn more about the art while pleasing your palate! This was my objective when I joined the Selene Wine Tasting Class in Santorini. They are located in Pyrgos village, in the same area as a folklore museum that exhibits traditional Santorini agriculture and way of life. 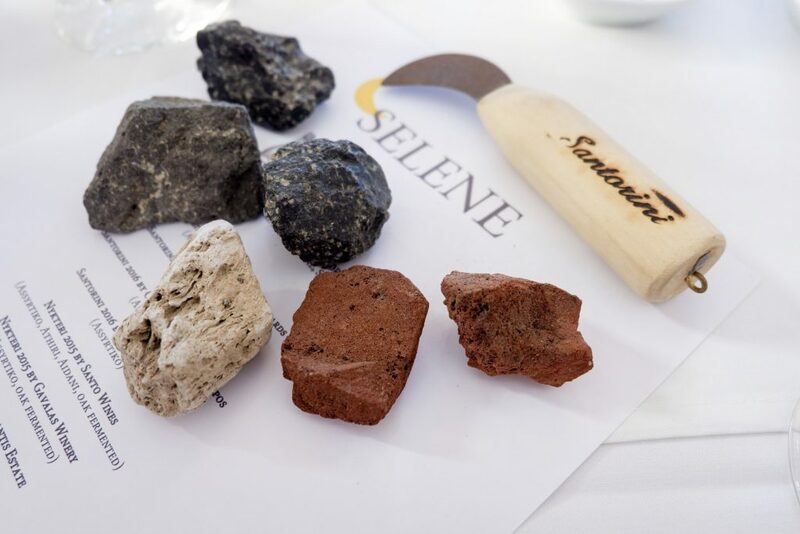 This jives perfectly with Selene’s primary mission, which is to promote local Santorini and Cycladic tastes to the world. Our wine-tasting class was presided over by Georgia, a lovely sommelier who has been with Selene since 2005. It was the perfect start to our trip, and with Georgia I felt that I really learned more about wine at the end of the day. Indeed, I thought that since we will be in the country for 3 whole weeks I should best understand more about Greek liquor. On our last island (Mykonos), some of the staff at Platy Gallos asked us to try the local drinks — by then we realized we’ve tried almost all of them! Of course, I ended up liking what I had. Georgia explained how grapes were grown in Santorini. The earth around the region has been enriched by the remnants of volcanic activity, which helps in their growth. This volcanic earth has no clay, making the growth of grape-destroying phylloxera impossible. Santorini also has a unique level of humidity in the air. In fact, grapevines grown here no longer need to be watered or irrigated! The island also has strong winds, however, and the grapes need to be protected. This was why we were used to seeing tall vineyards when we were driving in other Greek places, but in Santorini we only found vines grown low. Apparently, these are grown this way to take advantage of the region’s characteristics. The bush-training system is called “koulara”, where the vines are woven into a basket-like shape as they grow. The grapes face the inside of the basket, protecting them from winds and heat. After understanding the process of growing the grapes, we were also taught about how to read the quality of the wine. Georgia taught us that this is best done on a white surface, where we can easily see the gray volcanic rings that speak of minerality and dryness. We were also taught the meaning of wine terminology such as “full-bodied” and whatnot, as we were led through a tasting and smelling lesson. There were 10 wines in all, and among them there were only two that didn’t suit my taste. But I really loved how we sampled all of them. 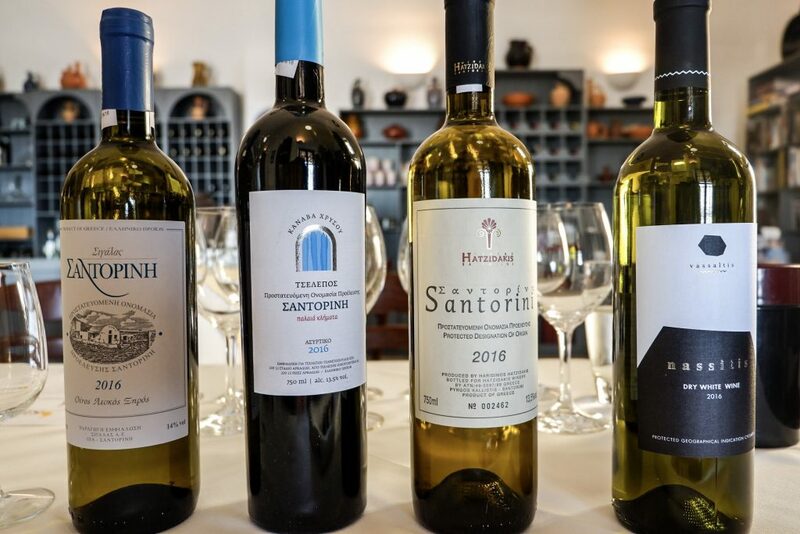 We learned that most of the wines in Santorini are white, but there were three red varieties in our testing. They were just as good! 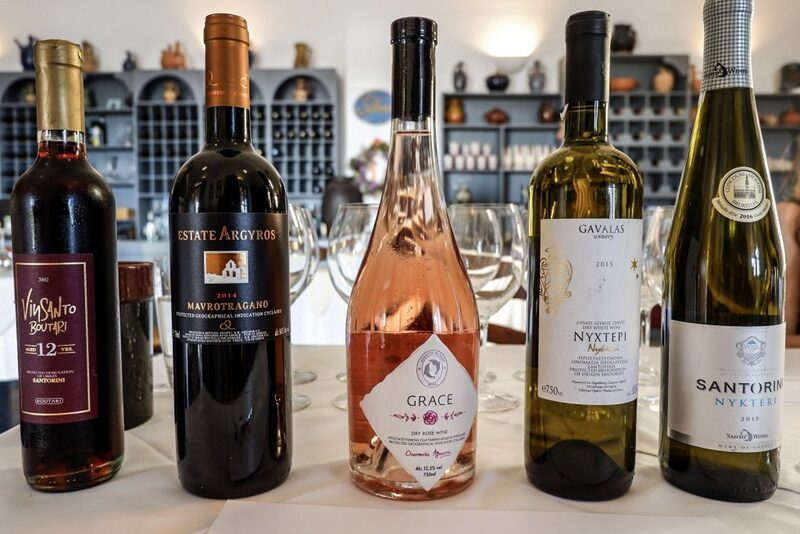 These wines were made from combinations of the three grape types — Assyrtiko, Athiri, and Aidani. I’d even chosen my favorites: Mavrotragano and Nykteri, the latter of which is a combination of all three grape types. Overall, it was a really interesting afternoon. Georgia did a great job of explaining all the important concepts, making us feel like we are adept sommeliers ourselves! What a wonderful way to spend an afternoon in Santorini. I must admit I know nothing about Greek wines, you don’t see them on the shelves in Australia that is for sure. Would be a very interesting and tasty way to learn more about the local wines and industry. Would be a nice bit of knowledge to gain. 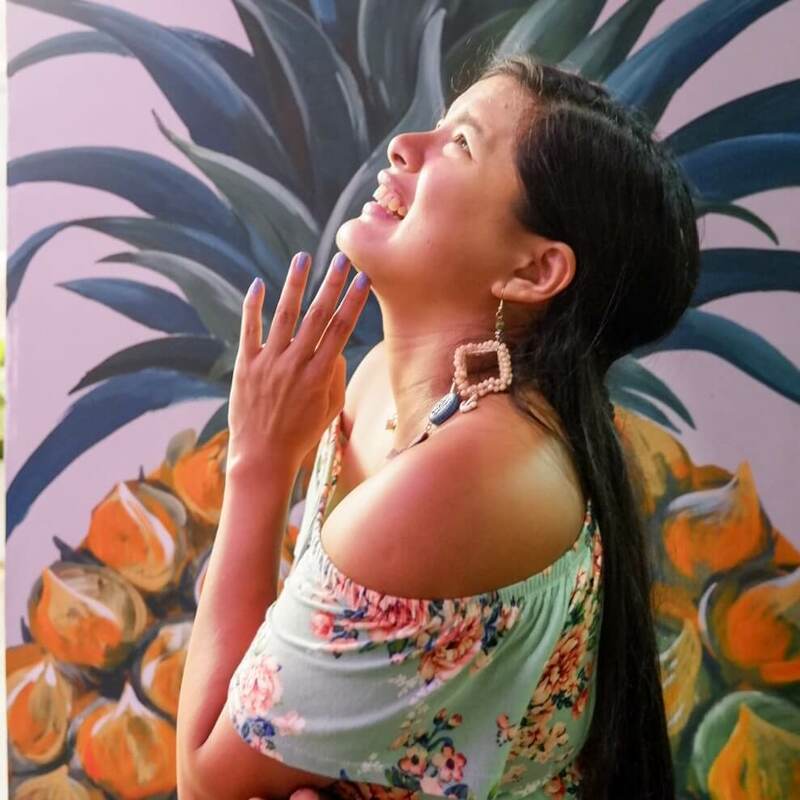 My sister had this wine tasting experience in Santorini last summer and she loved it. 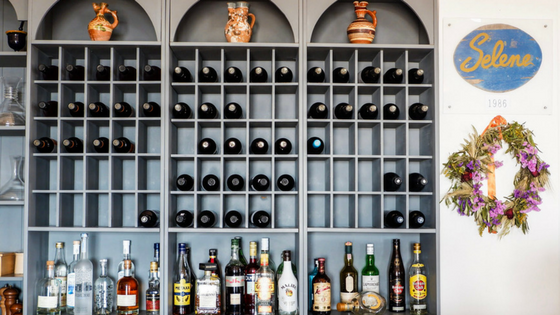 I never tried because I’m not exactly a wine drinker but my husband would definitely enjoy it, so I’ll note it down to make him happy on our next trip to Santorini! 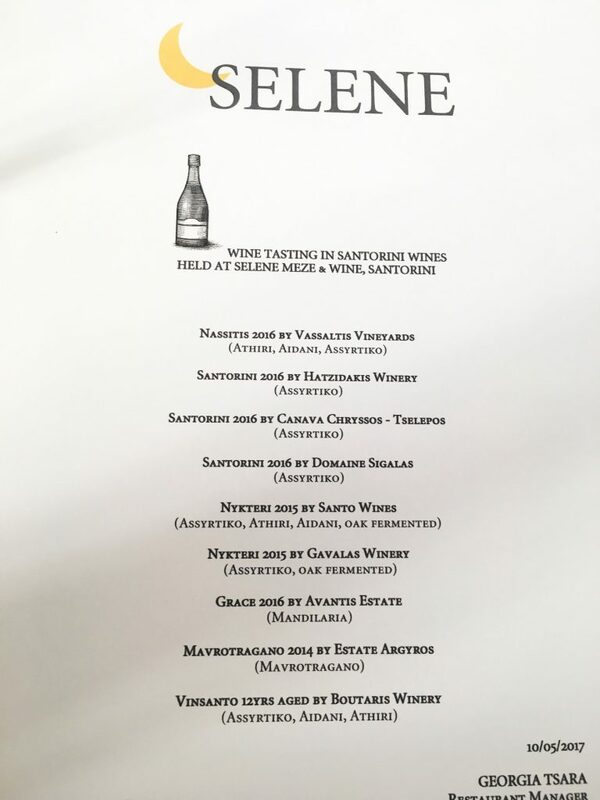 The term Santorini Sommelier seems to just slide off the tongue. Sipping wine sounds like a memorable thing to do in such a lovely place. I love doing wine tasting trips. I’d really like to see Santorini too! Sounds like my kind of trip! 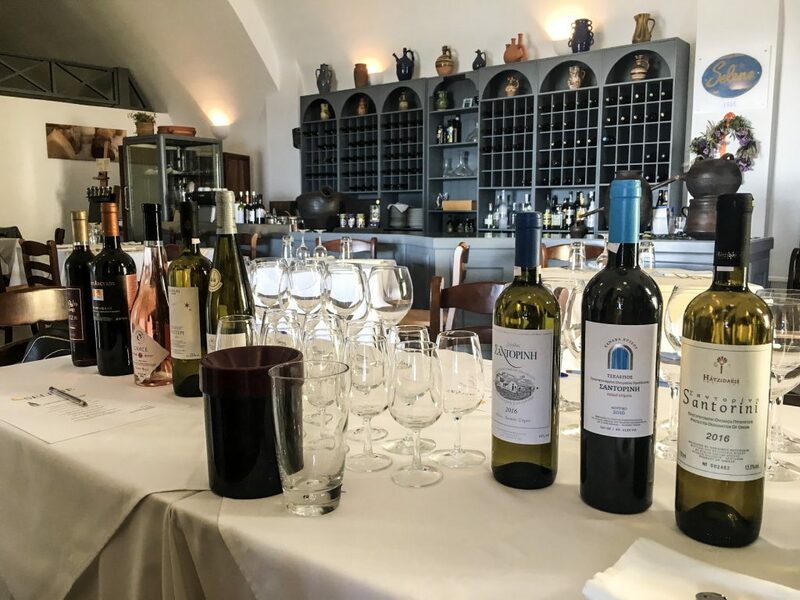 Wine tasting in Santorini looks fantastic. I wouldn’t want to overindulge though, the photographic opportunities are too great. As a wine lover I realise that terroir is so important in the end product. Thanks for the great pic of the volcanic rock. It explains a lot! The bit about the volcanic earth changing the taste is honestly so educational! It isn’t something you think about but once you do, it is so true! Love wine and this looks fun! I had no idea that vulcanic origin of the surroundings influences the taste of vine growing in certain areas. I come from wine region myself but it is rather a lowland – I will search for wine from Santorini, it must have special taste. Born from fire!